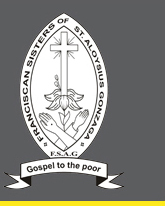 We the Franciscan Sisters of St. Aloysius Gonzaga is a women religious Congregation evolved into its full stature by passing through various stages, adapting itself to the needs of the times but at the same time keeping its focus on the Gospel values for which it is a living and vibrant witness till today. 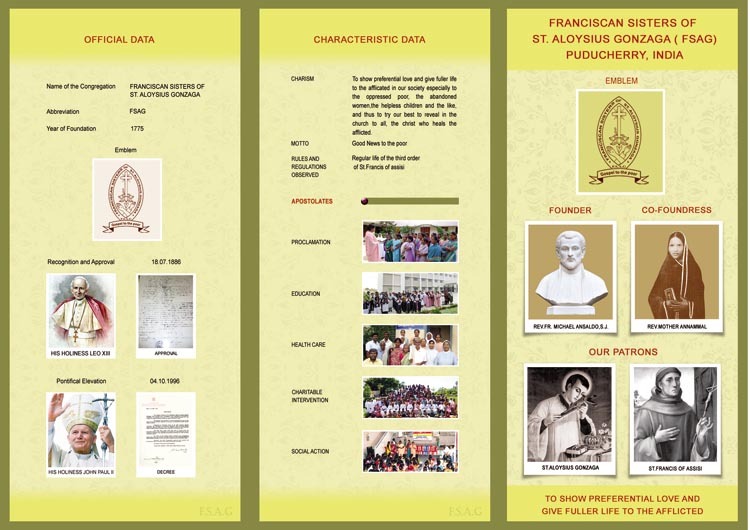 From its very inception our sisters have been toiling tirelessly in the field of Evangelization, Education and Social uplift of the poor and less privileged sections of the society. In the year of 1732 Rev. Fr. Coeurdoux from France travelled along with other missionaries with the determination to bring the Good News of the Gospel to India. The journey was not pleasant. When his ship was on the verge of capsizing, he vowed that if he were to safely reach the shore he would institute a religious congregation for women and an orphanage to the care for the destitute and the abandoned children. He fulfilled the first of his vows, but he was unable to fulfil the second. Therefore he entrusted the second to Rev. Fr. Michael Ansaldo, to fulfil the vow of instituting an orphanage on his behalf. Rev.Fr. 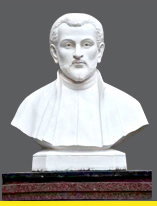 Michael Ansaldo, an Italian Jesuit wanted to become a missionary. His dreams of preaching the Good News in the estern countries came to pass in 1771 when he landed on the shore of Pondicherry and had a spiritual relationship with Fr. Coeurdoux and adopted the unfulfilled vision of him. Rev. Fr. Michael Ansaldo started an orphanage in Shepherd Street on 1775 and dedicated it to the protection of St. Aloysious Gonzaga. The aim of the orphanage is to take care of the abandoned children, to give them education and to protect the young widows and the women who were the victims of sexual crimes. He entrusted the responsibility to two women namely Ms. Annammal and Ms. Elisa. They dressed themselves in white sarees as the mark of their dedication to this special type of service. By their dedicated service many were joined with them and slowly they grew up as pious association and continued their ministry. In 1805 Rev. Fr. Michael Ansaldo became as the vicar of Diocese of Madras and Mylapore. So Rev. Fr. Lehothe took incharge of the orphanage and the pious association on 1839. Due to his interest and hard work the pious association became as a religious congregation in 4th October 1858. They extended its service to all those in need, mindful of the Gospel values and discerning the signs of the time. After that the first group of sisters consecrated themselves to the religious life by pronouncing the three evangelical vows of Chastity, Poverty and obedience. When Rev. Fr. Ligeon was the Director, the Congregation was aggregated to the third order regular of St. Francis of Assisi on 18th July, 1886. 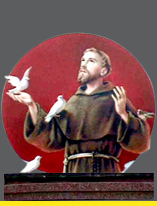 Due to this status we along with the rules and regulations that were particular to our congregation can also practise the guidelines that were given to all those who were affiliated to the Franciscan Third Order. To widen and deepen the ministry of FSAG, the 23rd Renewal General Chapter held in December 1987 became as the turning point in the Administrative skill of the Congregation. The missionary area of our mission was divided into four regions namely Pondy, Madurai, Andhra and Myanmar which has been upgraded as Provinces and doing ministry without losing the spirit of our Founder Rev. Fr. Michael Ansaldo, SJ. As the diocesan Congregation under the guidance of the Bishops and the directors and the hard work of our sisters and the Generals our service has expanded to many places. When Mother L.C. was the Superior General our Congregation was raised to the status of Pontifical Right on 4th October 1996 by His Holiness Pope John Paul II. 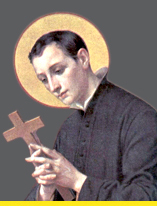 Trusting in the providence of the Almighty, asking for the protection of the Blessed Mother and praying for the patronage of St. Aloysius Gonzaga, let us join together and march towards the fulfilment if God’s Kingdom of Peace and Joy on this planet.